Simply hit "PLAY" for a guided tour, or walk through the house independently. 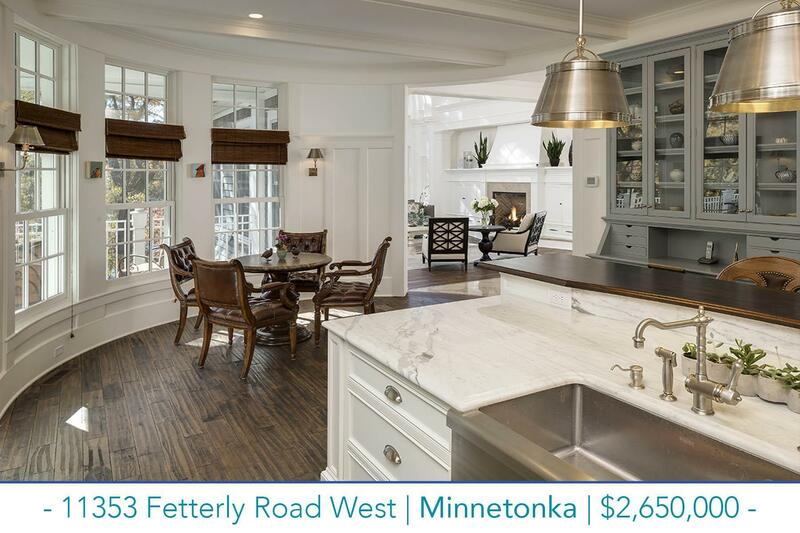 Exceptional architect designed Minnetonka home for sale on a stunning 1.7-acre site overlooking woods, and wetlands. Private gated site. High ceilinged, light & bright, with enameled woodwork, hardwood floors, barrel-vaulted living room with fireplace, center island kitchen with breakfast nook, sunroom with fireplace, formal dining room, paneled library, mudroom with an office. Second-floor master suite with his and hers closets and baths, laundry, and guest suite. Three bedrooms on lower level, plus family room, second laundry, heated floors. Elevator, pool, porch, attached and detached garages.